In honor of International Helmet Awareness Day. Should this man be wearing a helmet? 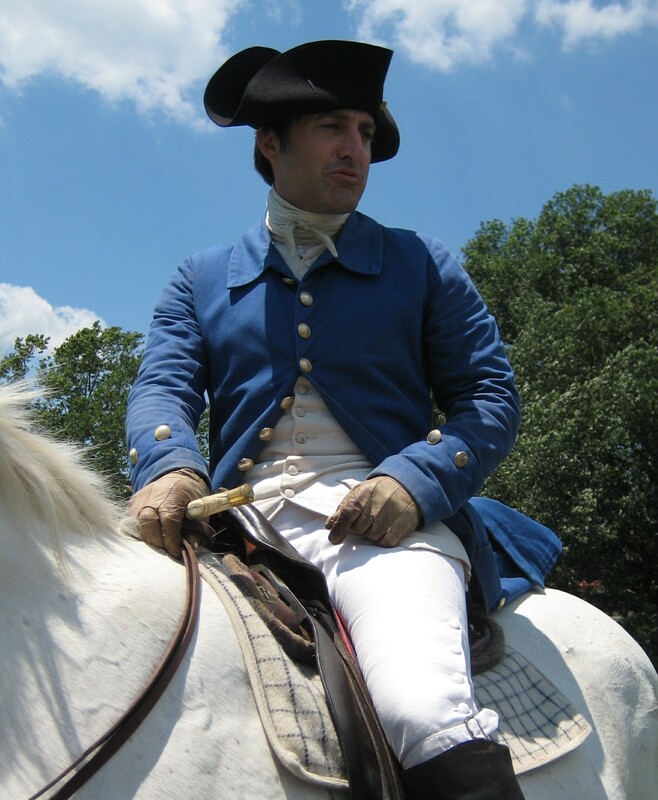 The man in the photo is a historical reenactor from Colonial Williamsburg. His costume and tack are authentic down to his stirrups. Should he ruin the 18thC look by plonking a safety helmet on his head? Much can be done invisibly. For example. 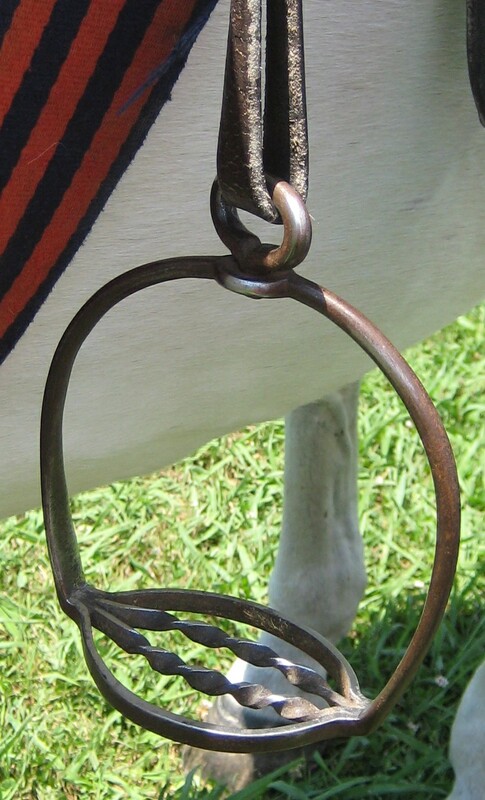 wooden carriage shafts are internally reinforced with metal to prevent bars shattering and gouging the horses. Plus, Colonial Williamsburg has the money and expertise to do make the modifications subtle. Most of their buildings are fitted with fire alarm and sprinkler systems. I toured the Governor’s Palace with a 24-year veteran of the fire service and she was only able to spot one alarm. 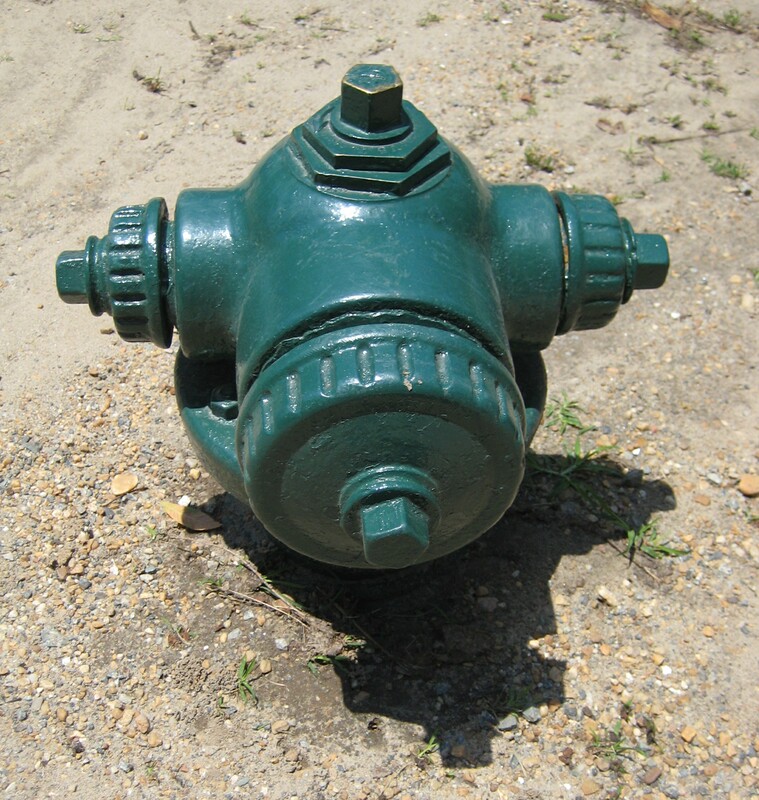 Colonial Williamsburg already makes visible concessions to safety, see photo. Plus, this would be an opportunity to send a message on the importance of safety over looks. you can now buy cowboy hats with helmets built in. perhaps something along those lines? So maybe they can disguise the helmets– because you’re right safety should come first. Tough one. We’re all helmet safety conscious in the US, but in so many places in the world where riding is still part of the culture (Mongolia and Argentina spring to mind, not to mention the American West), helmets aren’t part of the picture. I’m all over every ride, every time for horses, biking, blading, ice skating, sledding (new one this year!) and skiing. But, I’d probably give a pass to the Colonials. I wouldn’t do it, mind you, but I’m not going to give them a hard time.